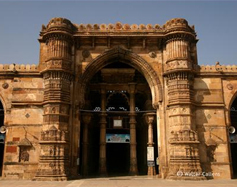 Gujarat has a very rich heritage of art crafts.The Patola of Patan is a unique fabric of Gujarat. There is production of oil and natural gas in Ankleswar, Cambay and Kalol and a oil refinery at Koyali..
Gujarat can be termed as the land of fairs and Festivals. Thousands of small and big fairs, and festivals are celebrated in different parts of Gujarat every year. 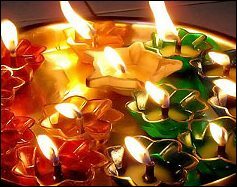 The festivals are based on the lunar or solar calendar. 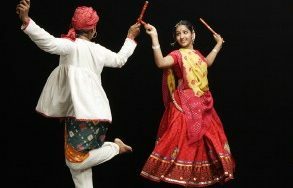 Gujarat has a unique distinction of having a legendary origin of her folk dance forms. 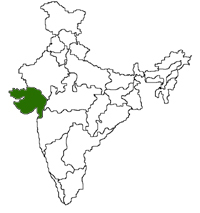 The most popular and known folk dances of Gujarat are Garba, Garbi, Rasaka, Tippani, Padhar-Nritya, Dangi-Nritya etc. .More..
Raga, form of dance which is performed all over Gujarat.